As part of the Review Crew for The Old Schoolhouse Crew I was provided with a free trial of LanSchool Technology. The company offers a free 30 day trial of the software and one home license is $99. That includes free updates and technical support for three years. Oh my... Where to begin... I highly suggest the product tour located here. LanSchool Technology enables the networking of all computers in a home or classroom setting. (The home license is good for up to three monitored computers - pricing is available for schools and classrooms as well) It allows the teacher to control all of the computers in the network - turn them off or on, monitor websites and keystrokes, limit websites or block certain websites, allow or block certain applications, send text messages between the 'teacher' and 'student' computers, and so much more. For a full list of capabilities check out the product brochure here. I couldn't believe how simple it was to install. My 'teacher' computer runs Windows 7. My 'student' computers run Vista and XP. I was up and running in the few minutes it took to install on each computer with no issues at all. And since the software is user friendly it was easy to figure out how to use it. My favorite part of this was the ability to display my laptop screen to the other two computers at the same time. This eliminated all of us crowding around one laptop to watch a video or read a lesson. I also liked the ability to 'turn off' a computer if someone didn't heed 'break time is over and school is now back in session'. I also could write on the screen or underline a sentence on the display and my kids could then see it on their computers. The ways that this could be used in a classroom or home school setting are practically endless. I was so thrilled with this product I sent a link to a friend of mine who is on the board of a small private school which provides all students with netbooks. It is a product I will be make room for in my homeschool budget. I've only just begun to discover the ways we can use it in our studies. I highly recommend this product. To see what others on the TOS crew have to say about these products click here. Oh, that sounds really cool! Do your PC/laptops have to be networked to begin with or does this take care of some sort of wifi networking? 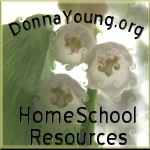 Sounds like it has lots of uses in a homeschool or just a family with multiple pc's. No, ours weren't networked until this and I was worried I couldn't get it to work but man it was so simple I wanted to go to Staples and get one of those 'That was Easy.' buttons. I'm crazy about this product. It is so neat!